This beautiful cowlette is the result of a very blustry winter doing route calls and making return visits, where my run of the mill shawls and scarfs kept falling off, and my cowls just didn’t cover my chest area enough to keep me warm. 10 months and many drafts later I’m pleased to release the ‘Route call cowlette’ pattern on PDF. It is written in British terminology and knit in the round. 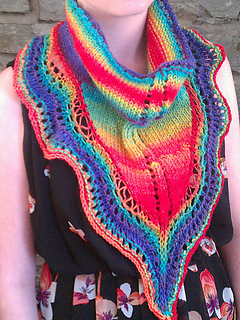 It does incorporate short rows, but don’t be put off as these are explained with photographs in the pattern. 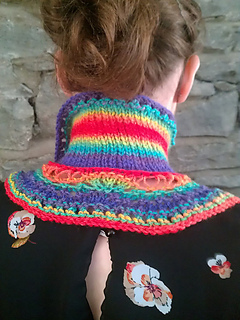 This was the pattern for the Knit-a-long on the mamapack forum. It is a deceptively quick knit, giving the appearance of many hours of yarn hogging knitting yet only taking an experienced knitter one or two evenings and just 1 skein of yarn to complete. A tapestry needle to sew ends in. You can also like my Facebook page HERE to keep up to date with news and store updates.